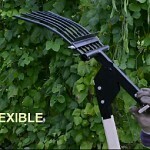 Ingenious multi-tool! 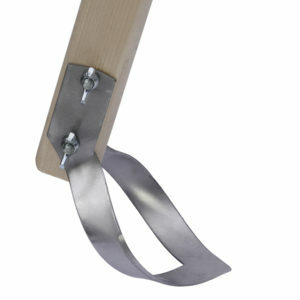 Steel poly vinyl coated 7-tine head, long wooden birch handle 1.3 m (when assembled using three re-enforced sections). 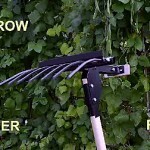 In swing mode use it as a tiller to effortlessly loosen up the soil. 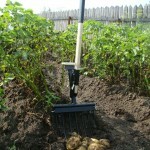 Harvest potatos and kumara. 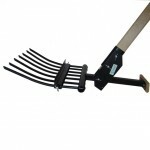 Steel poly vinyl coated 7-tine head, long wooden birch handle 1.3 m (when assembled using three re-enforced sections). 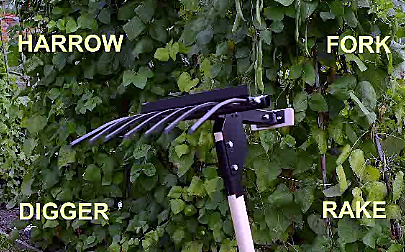 In swing mode use it as a tiller to effortlessly loosen up the soil. 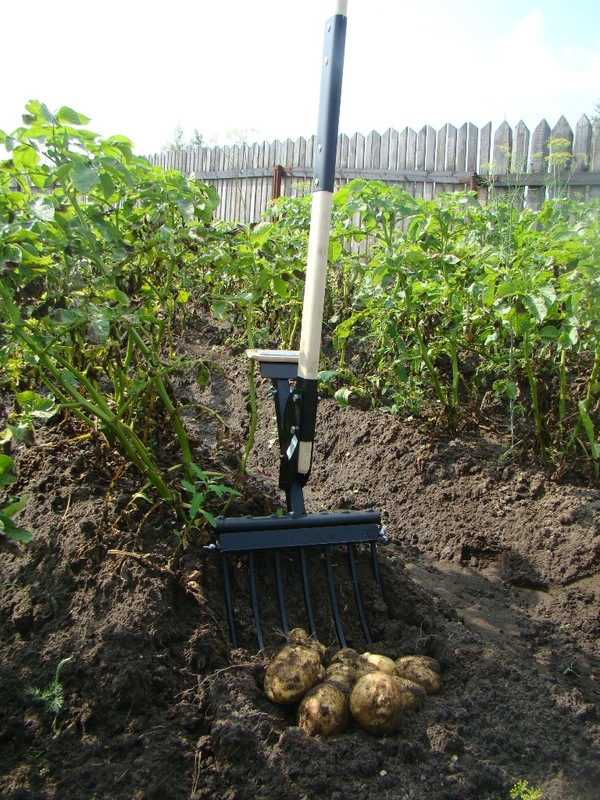 Harvest potatoes and kumara. 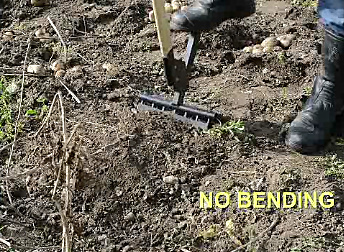 Just that easy. 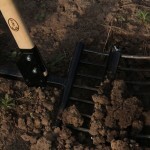 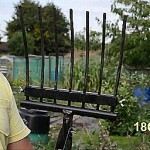 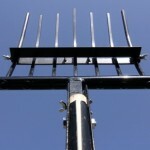 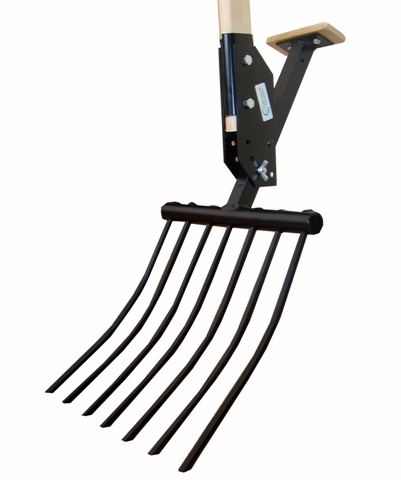 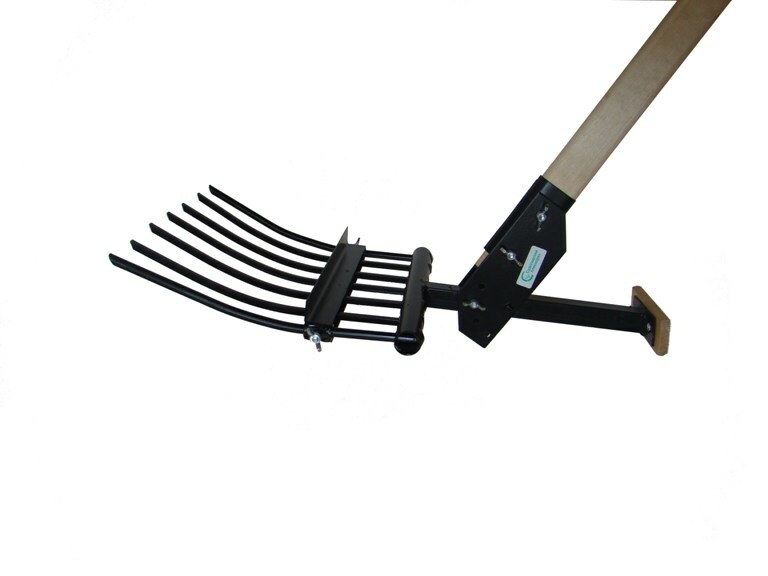 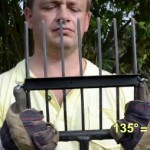 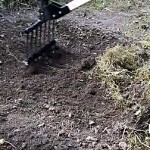 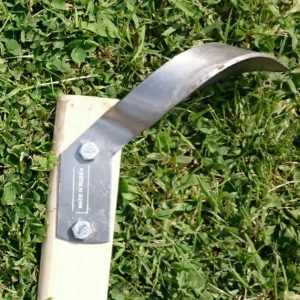 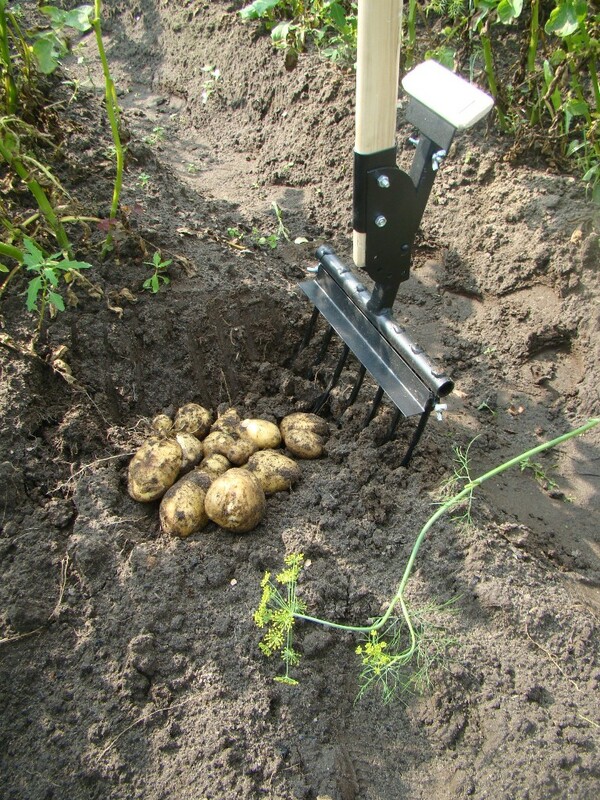 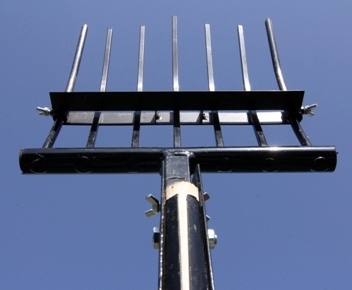 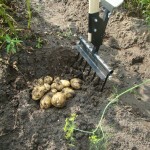 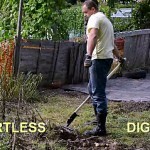 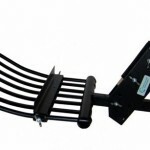 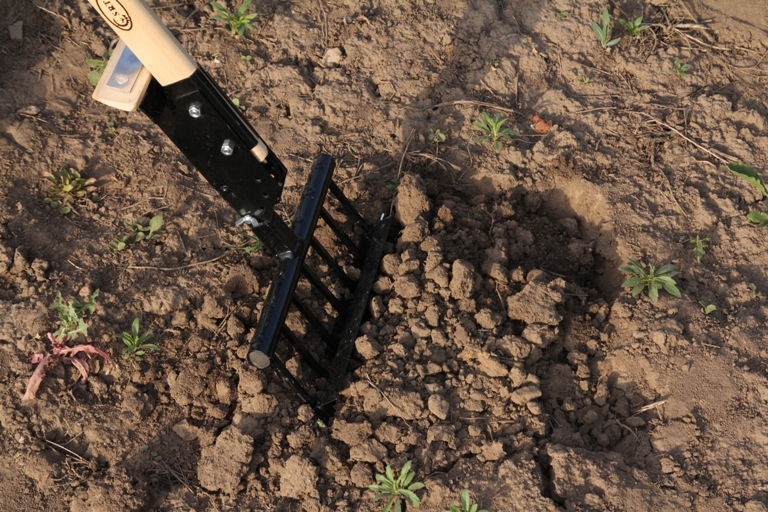 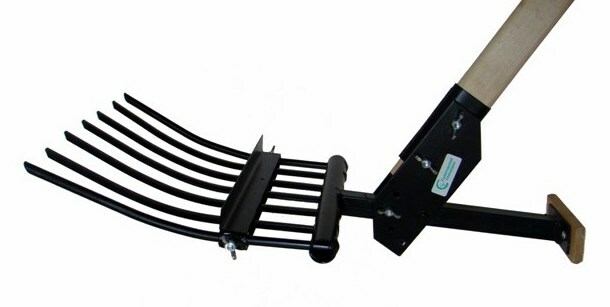 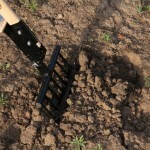 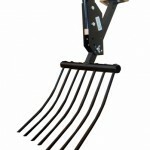 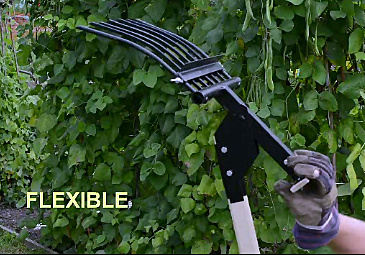 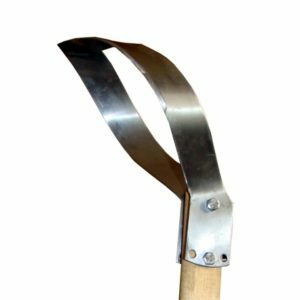 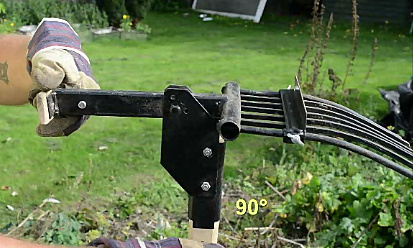 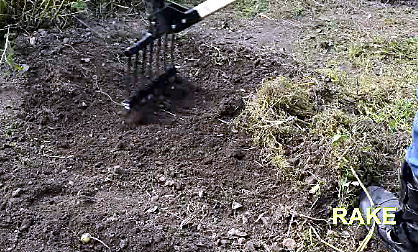 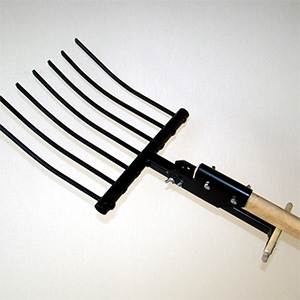 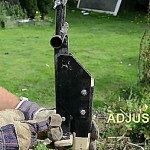 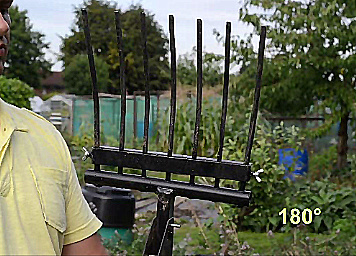 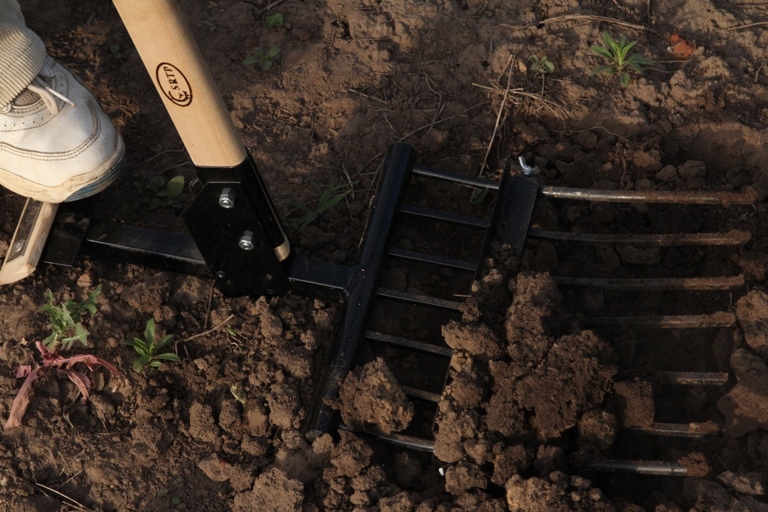 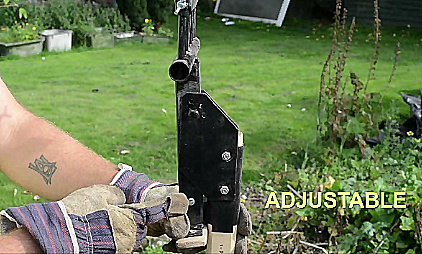 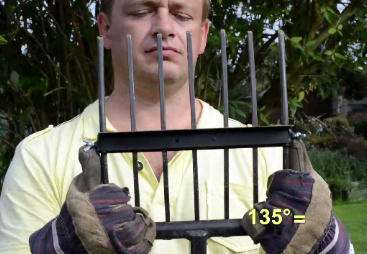 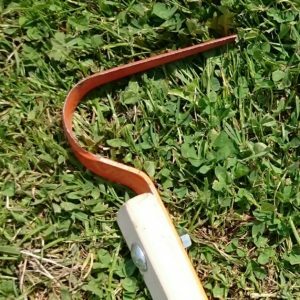 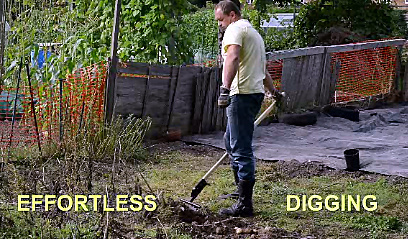 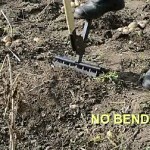 In multi-fixed 0-30-60-90 deg position, convert the tool into a garden fork, a harrow or a rake! 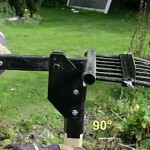 Sliding reinforcing bar works as a tilling depth measure..